Have Your Home Inspection Performed by Experienced Engineers. 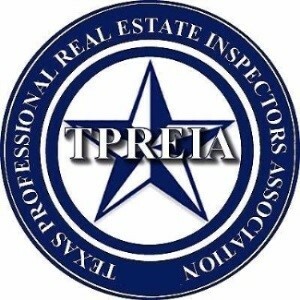 To ensure you have a thorough and comprehensive home inspection and evaluation, it is important to use an inspector who is an engineer, besides only being a licensed inspector, with the experience and knowledge necessary to make sure your property and your family are protected. Choosing the right home inspector is important when purchasing a new or existing home, building a home or renovating. INSPECTORS ARE NOT CREATED EQUAL. All our inspectors are engineers with many years of experience. INSPECTIONS ARE NOT JUST A BUSINESS – IT’S A PASSION FOR US. 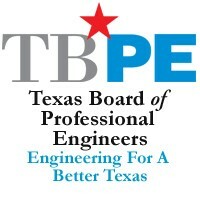 With high winds and storms frequenting the Houston metropolis having an experienced engineer inspect your property will provide you with additional peace of mind. Foresight Engineering will assess the entire structure from top to bottom inside out leaving no stone unturned. Call us today at (713) 661-9200 or use our convenient online inspection request form. We see ourselves as an advocate for quality & professionalism, and aim to bring about positive change in our industry. We hope to promote quality as a universal benefit that we can bring to our industry. Integrity is paramount. It is the foundation of all our business relationships, and is a key factor of our success. It will always be evident in our character, our honesty, our reliability, our loyalty, and the trust our Clients have placed upon us. We strive to accommodate our Clients by listening, understanding, and doing whatever it takes to exceed their expectations. We place Client interest first, aiming for a level of hyper-service. We adapt to change through our flexibility, and our can-do positive attitude. In short, we are passionate about delivering outstanding service. Harmony inspires us to go further in every way. It gives us strength, pride, initiative, and the drive. In summary, we strive to serve the needs of our clients with the best of our ability, knowledge, education and experience with total honesty and integrity. Not all home inspectors are engineers and not all engineers are home inspectors, so why not use a home inspector who is also an Experienced Engineer? An Engineer goes through at least 4 years of education and rigorous training and is well versed in how the building systems operate and building components work. Is it good enough only to know if the dishwasher is leaking or the heating system is working properly? WOULDN’T YOU WANT TO KNOW IF THE BUILDING WOULD HOLD UP AFTER THE STORM? A home inspector who is not an experienced engineer will not be able to catch the problems as the Engineer would. If there are any problems, a plain vanilla inspector will end up recommending you to consult an engineer for further evaluation. You will end up paying for a second opinion and inspection. However, if you use a home inspector who is also an experienced engineer, you will already have an inspector who can assess what is wrong, why and how to fix it. Not all structural problems are apparent in a general home inspection. An engineer can assess the entire property from ground up. A home inspector who is also an Experienced Engineer has the education, background and knowledge to provide you with the most comprehensive home inspection possible. Our Experienced Engineers will encourage you to walk with them, show you the problems, let you know how serious or expensive they are, the safety issues/problems, and things to do to minimize/prevent the problems in future. We are there to help you, inform you and educate you. Normally, we have two engineers on an inspection who may spend 2 to 6 hours or more; depending on size, age, features and problems in the property; evaluating the property. MOST ENGINEERS OR INSPECTORS DO NOT ALLOW THEIR CLIENTS TO BE WITH/AROUND THEM. WHY? What are they trying to hide? YOU HAVE THE RIGHT TO KNOW WHAT IS WRONG WITH YOUR PROPERTY. THE BEST WAY IS TO WALK WITH THE INSPECTOR – YOU ARE PAYING FOR IT. Simply put, we inspect the property as if we are buying it for ourselves.